Meet our caring and talented Network Staff as well as those operating the Flagship Clubhouse in Boston. Gail has overseen the dissemination of The Clubhouse program to community-based organizations both nationally and internationally since 1995. In addition, she has spearheaded the development of programs such as Hear Our Voices (a Clubhouse program for girls and young women); Clubhouse-to-College/ Clubhouse-to-Career; and Beyond Four Walls: The Computer Clubhouse as Invention Studio. Gail served for many years on the Technology and Youth Advisory Committee of the Boys & Girls Clubs of America and has led workshops about The Clubhouse’s unique learning approach at youth, community and technology conferences around the country. Gail joined The Clubhouse after twelve years with Gemini Consulting, an international management consulting firm, where her work focused primarily on strategy implementation and organization management for Fortune 500 companies. Gail’s professional career had its “roots” in the non-profit sector; in the late 1970’s she served as Program Director at the American Association for the Advancement of Science in Washington, D.C.
Gail holds an M.B.A. from the Graduate School of Business at Stanford University and an undergraduate degree from Oberlin College in Ohio. Jeff supports community-based Clubhouses and helps to ensure that they have the resources to fulfill the Clubhouse mission. Based in Oakland, California, Jeff travels widely in the course of his work, supporting Clubhouses in the West and Midwestern United States, as well as South Africa. A former elementary school teacher in Atlanta, Jeff joined the Clubhouse team with extensive youth experience, including from his work with under-served high school students at Artists for Humanity in Boston, a nonprofit organization that seeks to marry young people’s artistic passions with entrepreneurial opportunities. Jeff holds an Ed.M. from Harvard University’s Graduate School of Education and a B.A. in Early Childhood Development from Morehouse College in Atlanta, Georgia. Aviva manages Clubhouse-to-Career (C2C) Pathways to Success, a Clubhouse initiative to support the global need for a trained and ready workforce, in particular in STEM fields. She also serves as the geographic liaison for the Latin American region. Aviva comes to us most recently from the Center for Educator Effectiveness at the Massachusetts Department of Elementary and Secondary Education. Before that she worked for the NY State Education Department, managing a $72 million grant program in support of teacher and leader effectiveness. Aviva began her career as an educator at ACORN Community High School in Brooklyn, NY, where she taught English, mentored in an after-school program, and was an AmeriCorps Award recipient. She also taught for four years in Lima, Peru, and is fluent in Spanish. Aviva has a B.A. in Literature and Rhetoric from Binghamton University and a M.S. for Teachers in Adolescent Education from Pace University. Brendan joined The Clubhouse Network after 10 years with the South Shore YMCA near Boston, MA. Most recently he served as Director of Day Camps and was responsible for all operations, planning, budgeting, staffing, as well as roughly 1,000 children. Brendan also spent two years with City Year in Washington DC as a Special Projects Manager and Team Leader. He holds a B.S. in Computer Science from Bucknell University. Jennifer began working with The Clubhouse Network in 2017. She has more than a decade of experience in non-profit fundraising and development. Most recently, she was the Director of Development at The Nature Connection, a nature and animal therapy organization in Concord, MA. In addition to her professional work, Jennifer has helped lead stewardship and planned giving campaigns in a volunteer capacity for several institutions. She is a member of the Strategic Planning committee for ThinkGive, and serves as a member of the Town of Concord’s Youth Services Advisory Board. In her free time Jennifer enjoys reading and exploring the great outdoors with her family and dog. Jennifer has a B.S. in Communications from Boston University. Christine Monska joined The Clubhouse Network as the Youth Leadership Program Manager overseeing the Teen Summit, Alumni network, and developing a new Youth Leadership Council. She brings over ten years of experience in public policy, international relations and youth leadership development with a strong focus on women and girls’ empowerment. Before joining The Clubhouse Network, Christine designed and led the Young Women’s Initiative, a policy advocacy and leadership development program for young women, often systematically pushed to the margins, in Springfield, MA. This program was a local implementation of a national program stemming from the White House Council on Women and Girls. She also worked at the Department of Justice, Office of Senator Downing, International Center for Transitional Justice and most recently, Bard Microcollege – an associate degree program for women whose education was disrupted by parenting and/or poverty. She is passionate about collaborating with youth so they can see their immense potential and access tools to become leaders in their communities. Christine holds a B.A. in Government from Smith College and a M.S. in Global Affairs from New York University. Lynn is responsible for managing professional development for The Clubhouse Network; overseeing alumni and youth leadership development; building organizational values and practices around diversity, inclusion and equity; and driving the Clubhouse Network’s efforts in fostering a high-performing team culture. Prior to joining The Clubhouse Network, Lynn spent several years at the Cambridge Women’s Center, a multi-resource community center serving, supporting, educating, and empowering women. Lynn holds a B.A. in Women’s Studies from the University of North Texas. Jenna manages Project IMPACTS (Increasing Mentor Participation and Commitment to Success), a project funded by the U.S. Department of Justice’s Office of Juvenile Justice and Delinquency Prevention. She joins The Clubhouse Network with experience developing STEAM after school programming for Latinos and English Learners at Sociedad Latina in Boston. Previously, she worked for Big Brothers Big Sisters of Massachusetts Bay, supporting mentoring programs, including mentor recruitment and training, youth recruitment, and family engagement. Jenna holds a B.A. in Education and Social Justice from Vassar College. Jason manages all computers, equipment, websites, and other technology for The Clubhouse Network and the Flagship Clubhouse location. He brings over 10 years of experience in various technical capacities, including software engineering, web development, network management, videography, and event production. He has worked for over 5 years for spiritual and educational non-profits. Jason holds a B.A. in Film & Media Arts from Temple University. As the Catalyst Manager, Stephanie oversees all aspects of the Clubhouse Catalyst Initiative to disseminate Clubhouse knowledge and introduce “Clubhouse-like ideas” in informal educational settings, including overseeing The Clubhouse Network partnership with the country of Panama. Prior to joining The Clubhouse Network, Stephanie was the Scattered Site Shelter Coordinator at Economic Mobility Pathways in Boston, where she was responsible for supervising the case management staff, assisting in the development of program goals and evaluation, and organizing monthly community meetings for families living in shelter. Stephanie has been working with youth and families in the Boston area for the better part of 10 years. She has a passion for community engagement through STEAM (science, technology, engineering, arts, and math) education, which has been a driving force in her work with various afterschool programs, Montessori schools and camps across Massachusetts and New Hampshire. Stephanie received her M.Ed. in Community, Arts and Education from Lesley University and a B.A. in Photojournalism from Emmanuel College. 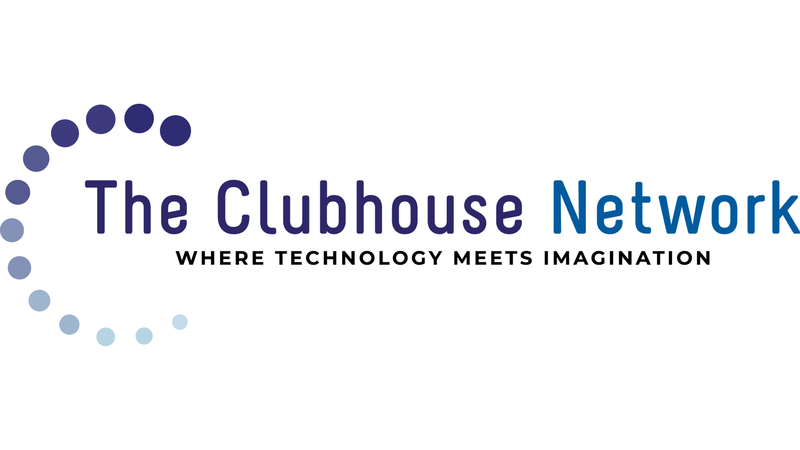 Jake oversees strategy and implementation for all marketing and communications at The Clubhouse Network. He brings 10 years of experience from his time in higher education, nonprofit, and entertainment sectors, most recently serving as Director of Marketing at Wheelock College. Jake has a passion for sharing stories and singing the praises of individuals and institutions doing social justice work and enriching the lives of others. Jake received his BA in Linguistics and Philosophy from the University of Connecticut in Storrs. 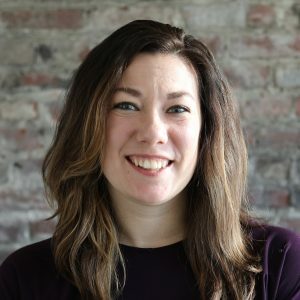 Before joining The Clubhouse Network, Nicole was the Campus Manager for the LearnLaunch Accelerator and Institute, where she worked closely with EdTech startups, mentors, investors and seasoned entrepreneurs. Before her involvement with the Boston innovation economy, she was the Assistant Director at an Early Education Center. She has also volunteered and run social change initiatives with organizations such as YouthWorks and Camp Higher Ground. Nicole studied art education and psychology with a focus on childhood development at Montserrat College of Art and University of Massachusetts Amherst. Kahmal started out as a member of the original Clubhouse at Boston’s Computer Museum, which inspired him to eventually become a Mentor and share what he had learned with others. He also cites the Clubhouse Network as one of his founding inspirations to attend a 4-year college. Kahmal received an A.A. from Bunker Hill Community College in Graphic Design and a B.A. in Animation from Massachusetts College of Art & Design. Jeff joined The Clubhouse Network to help bring more S.T.E.A.M. opportunities to the youth in Boston. Before connecting with TCN, Jeff worked for over a decade in children’s behavioral health and the nonprofit sector: working with families, designing programs, and developing and facilitating trainings that teach people how to meet the needs of kids who grew up where he did, in Boston’s inner city. Jeff is also an active music producer and engineer. Dominique comes to us with 2 years of Americorps service, providing student support and counseling at Cristo Rey Boston High School. This past year Dominique worked as a guidance intern at the Muriel Snowden International High School, as well as the Graduate Coordinator for Boston College’s Donovan Urban Teaching Scholars Program. Dominique has a masters’ in school counseling from Boston College and a B.S. in Psychology from the University of Dayton.